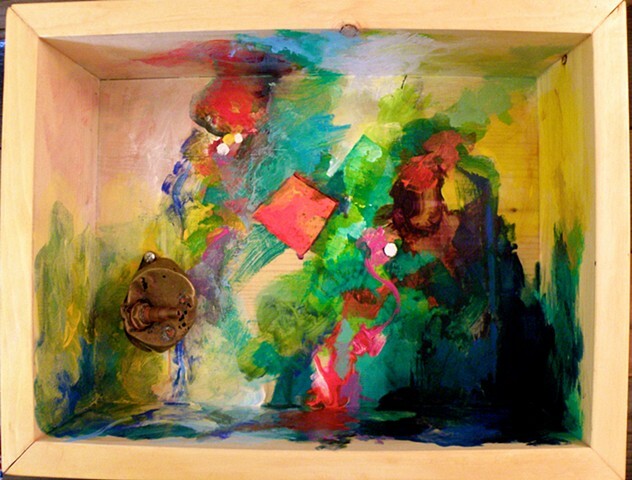 This box was created for the wonderful Gallery Route One's 2015 Box Show in Point Reyes Station, California, a nearly twenty-year tradition. It is a fundraiser for this alternative, non-profit gallery which, among other community projects, runs two local opportunities: Artists in the Schools and the Latino Photography Program. My time as a member of this gallery is very important to me, and I am very grateful that the artists have included me. I bought the box back... and have re-worked it. See "The Beach Roses Look for a Vase."